A hip hop symphony. A Colombian politician. The Community Cycling Center’s program manager. 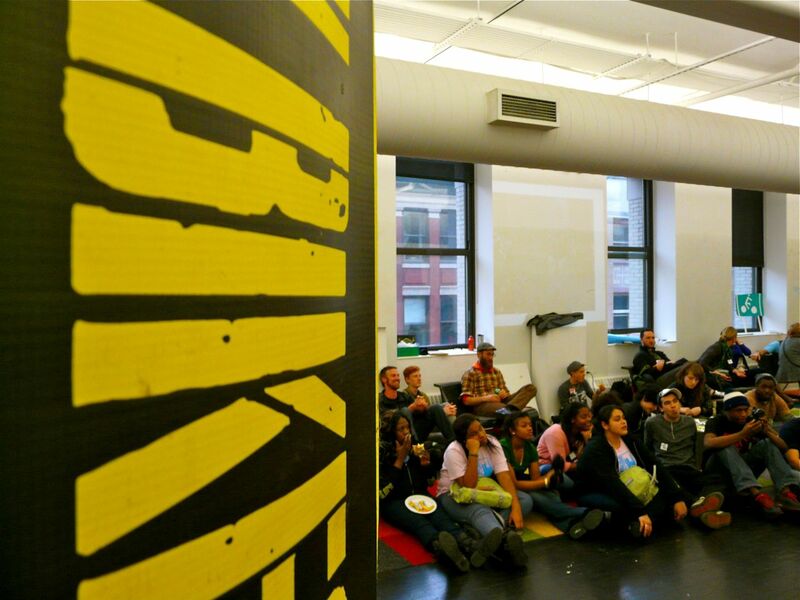 This is no dream – this is the 2013 Youth Bike Summit. 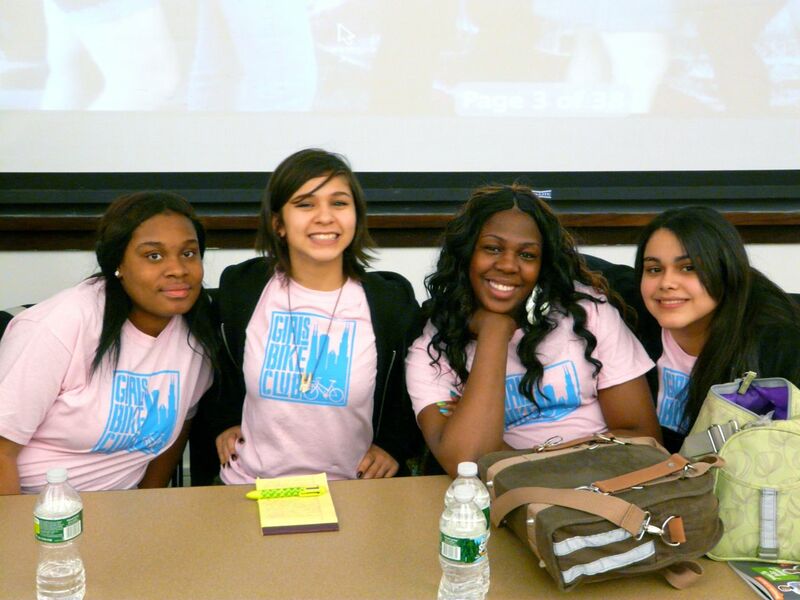 For the third year in a row, New York City’s community based bike shop and bike education leader, Recycle a Bicycle (RAB), hosted the Youth Bike Summit, a three day conference geared toward youth, bicycles, education, and advocacy. The conference began in 2011, after two high school interns of RAB attended the League of American Bicyclists’ National Bike Summit in 2010 and decided that youth needed their own event. This year’s Youth Bike Summit included 369 attendees from 22 states and 4 countries. I flew cross country to represent the Community Cycling Center and to bring back lessons and stories to share with our team. The event took place at Parsons The New School for Design. Imagine walls lined with displays of bike-powered cooling systems, proposed transportation blueprints for the city, and kids vending jewelry made of used chains and gears. The participants themselves were a diverse group brimming with energy. Many of the youth had never been to New York City and spent the last year fundraising and preparing workshops to share with others the lessons that they learned from their programs. I spoke with sixteen-year-old, Terrel, from Dallas, TX, who described how his neighborhood bike shop–a subsidiary of the faith-based organization, Mercy Street–engaged him and other kids by teaching them how to ride and maintain bikes, while giving them the opportunity to pass the knowledge onto younger kids. I met with seventeen-year-old, Jaime, of Chapel Hill North Carolina, who participated in Spoke ‘N Revolution’s youth program, which recruits youth of color to bike historically significant trails and assists with college preparation. The youth and adults all got to know each other through an activity hosted by Zip Inc, where an MC helped us create an acapella hip hop symphony, ending the first day on a bright and energetic note. The Youth Bike Summit is an inspiring event, so it’s no surprise that it attracts powerful keynote speakers, including Enrique Peñalosa, former mayor of Bogotá, Colombia. Peñalosa made history for instating transportation policies in his city that reflected his values of equity. As he stated, “A $30 bicycle has as much right to the road as a $30,000 car.” Though the adults in the crowd seemed star-struck by this transportation celebrity, the youth got out of their seats for Devlynn Chen, a seventeen-year-old from Chinatown who described the empowerment she felt after riding up and down the car-less streets of Manhattan on her 12-speed after super-storm Sandy. Over the three days, I attended six workshops including lessons on equity in cycling, how to lead teen cycling trips, and engaging women in the industry. My favorite workshop, facilitated by five teens from West Town Bikes’ Girls Bike Club in Chicago, talked about making biking accessible to girls in their high school. These young women echoed the Community Cycling Center message that the bicycle is a tool for empowerment and a vehicle for change. Participants were happy to hear more about our Understanding Barriers to Bicycling report, and recognized the Community Cycling Center as a strong organization, ahead of the game in providing communities with the tools and resources that they need to keep riding. I returned home with groundwork for expanding and focusing our programming, in addition to evaluation tools, and a strong network of folks doing similar work across the country. I’ll be adding the tools I gained from the Youth Bike Summit to our future programming efforts, and looking to its examples for inspiration.